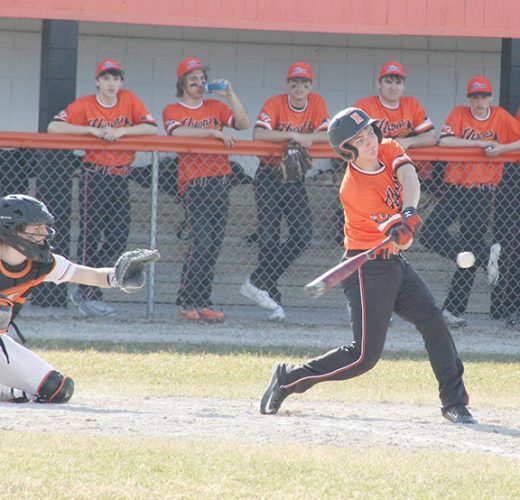 SAGINAW–The Alpena High softball team took advantage of nice weather on Saturday to play three games against the Swan Valley Vikings. Alpena lost game one, 5-3, won game two, 7-6, in eight innings and lost game three, 16-8. In the first game, Alpena (1-2) jumped out to a 3-0 after three and a half innings. Swan Valley scored once in the bottom of the fourth inning and took control of the game with four runs in the sixth innings. In the second inning, Riley Alexander singled to score Emma Fraser. In the fourth inning, Abbie Funk had an RBI single and Dayna LaBell added a run after scoring on an error. Fraser pitched for Alpena, allowing eight hits with six strikeouts and no walks. The Wildcats prevailed in extra innings in the second game, taking advantage of three walks to score two runs in the bottom of the eighth inning. Swan Valley scored once in the top of the eighth inning and left a runner on third base. Alpena led 4-0 after two and a half innings. The Wildcats scored a pair of runs in the second inning after LaBell had an RBI single and Funk scored a runner on a sacrifice fly. 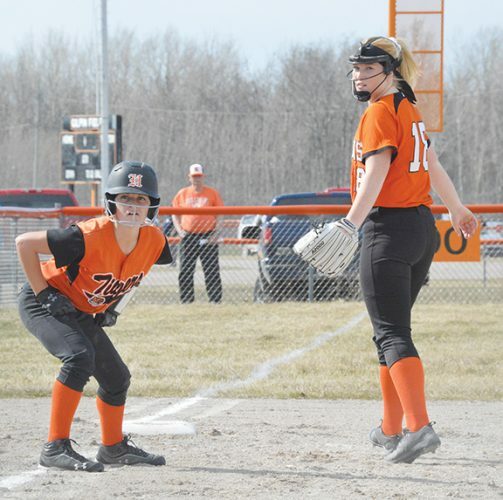 In the third inning, Sydney Chojnacki had an RBI single and Aubree Sheldon had a sacrifice fly to score another run. Alpena plays at Midland on Saturday.